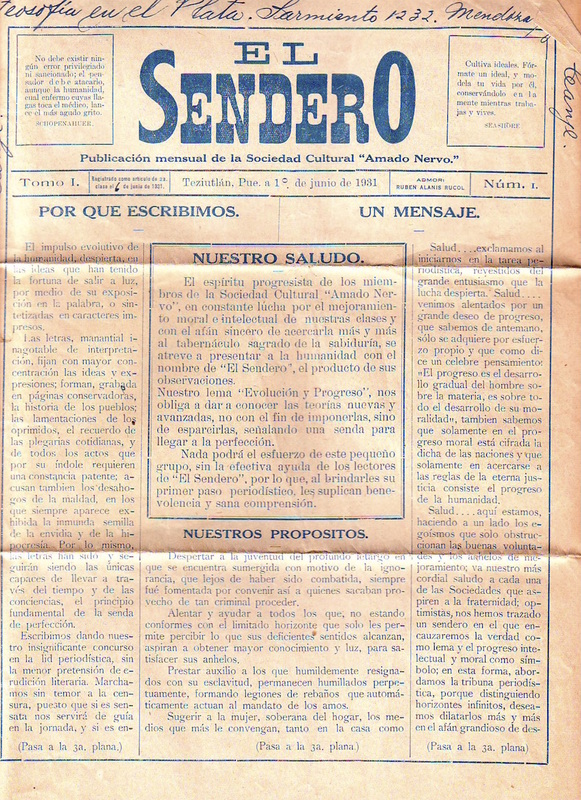 Publicacion mensual de la Sociedad Cultural "Amado Nervo". Teziutlan, Mexico. Language: Spanish. Editor: Ruben Alanis Rucol. 1/1, June 1931. 4 pp. Self-proclaimed occult journal whose tone is indicated by the a passage from Schopenhauer on the cover and the full-page proclamation "Our destiny is in ourselves."